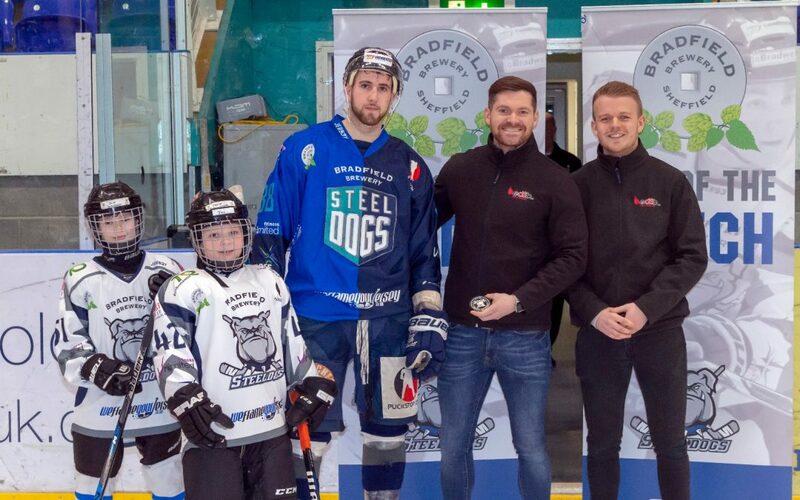 Following the EDSB sponsorship of Sheffield Steeldogs forward Adrian Palak last year, the EDSB Sales team were invited to a networking event on the 3rd February as well as to watch their hotly anticipated Cup game between the Steeldogs and the Hull Pirates. Most attendees from EDSB had never experienced a live Ice Hockey game before so it was quite an exciting evening for them and their families who joined us all for the event. As well as getting the chance to meet the players before the game and the honour of ‘dropping the puck’ before face off, it was a truly exciting game with plenty of action which ‘the Dogs’ eventually won. The EDSB Group look forward to their next Ice Hockey game later this year and wish the Steeldogs every success in the Play offs.